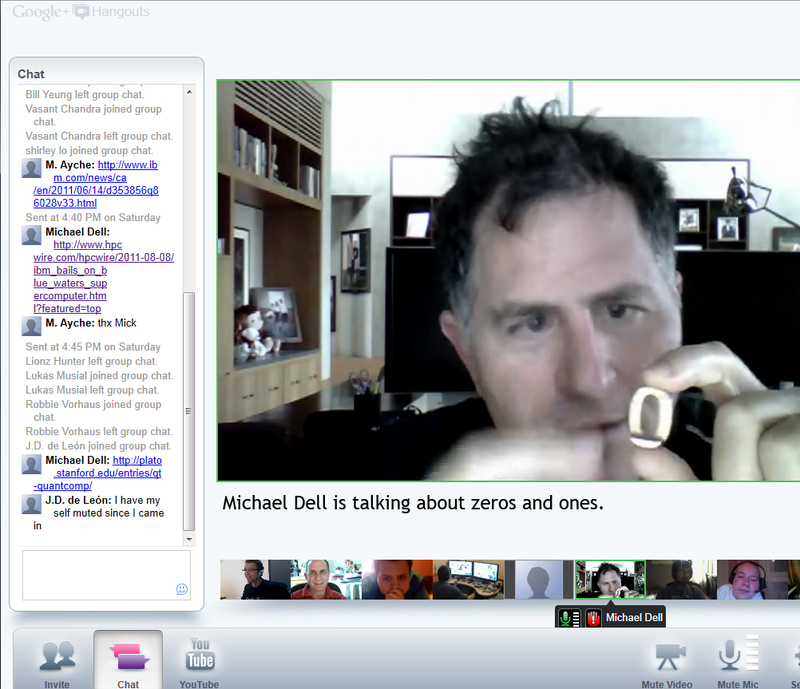 Today I had the opportunity to hangout with +Michael Dell and a room full of very intelligent well informed people from around the world. Michael is holding an inspirational desk icon that is all about zero’s and one’s. As you can see it’s a zero and when Michael turned it 90 degrees in his hand it becomes a one. He answered a question in the hangout by sharing a book he wrote with a first edition (February 17, 1999) Strategies That Revolutionized an Industry. We spoke about tablets, pocket, and how HP is spinning off the PC business. Very interesting conversation’s, if you ever have the chance to hangout with Michael take the opportunity he is a very down to earth man that takes interest in what you have to say. The Power to do more! Thank you Michael for spending time with us.